The birth control drugs Yaz, Yasmin and Ocella are facing increasing litigation citing some serious complications. According to the San Francisco Chronicle, a recent study listed Yaz and Yasmin as the second worst drugs on the market for adverse events. Between Yaz and Yasmin alone, over 8,000 adverse side effects were reported to the FDA in 2011. A recent FDA study suggested that Yaz and other similar drugs could increase the risk of blood clots, deep vein thrombosis, and pulmonary embolism by up to 74%. Even though all oral contraceptives carry the risk for blood clots, these new and supposedly more advanced drugs may actually create a much higher incidence of blood clots and other related complications. Such strong experimental evidence and high rate of side effect complaints led the FDA to order stronger warning labels on Yaz, Yasmin and Ocella in April of this year. What are deep vein thrombosis and pulmonary embolism? Deep vein thrombosis refers to a blood clot that forms in a deep vein. This usually occurs in the legs or pelvis and can cause swelling, pain, and even ulcers. This situation can become very serious when the blood clot dislodges and travels through the bloodstream, eventually blocking lung arteries; this is known as pulmonary embolism. Some symptoms include difficulty breathing, chest pain, and palpitations, but in extreme cases effects of pulmonary embolism can be collapse, extremely low blood pressure, and sudden death. Drospirenone, an active ingredient in these contraceptive drugs, is the culprit of such adverse effects. It is a synthetic progestin that has been linked with forming blood clots, deep vein thrombosis, and stroke. Two 2011 studies reported finding a two-to-three times increased risk for blood clots when using drospirenone contraceptives. Bayer, the manufacturer of these drugs, has already paid millions in settling lawsuits against their drospirenone oral contraceptive products. The company faces over 12,000 lawsuits. As of this April, Bayer pledged to pay out over $400 million to settle nearly 2,000 cases, at an average of around $200,000 per case. If you or a loved one has developed blood clots or even more serious related complications while using Yaz, Yasmin or Ocella, don’t hesitate to contact a lawyer about your case’s potential. Due to Bayer’s pledge, now could be a very good time to file your claim. 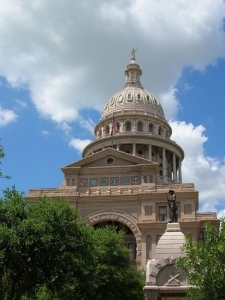 On June 8th, the Texas Supreme Court issued a ruling on the Centocor, Inc. v. Hamilton case. This case concerns Remicade, a drug used to treat Crohn’s disease, which is manufactured by Centocor, Inc, a subsidiary of Johnson & Johnson. 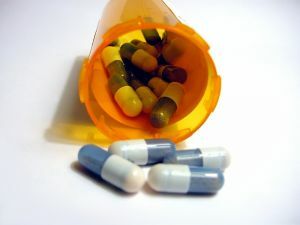 The plaintiff argued that she developed a very serious syndrome as a result of taking this drug, and sued Centocor for failure to warn her of the risks. In the jury trial, she had been awarded up to $20 million in damages. But when the case reached the Texas Supreme Court, the court sided with big business and gave pharmaceutical manufacturers what may be a considerable buffer against future liability claims. The ruling officially recognizes the usage of the “learned intermediary” rule in defective drug cases. This means that as long as pharmaceutical companies provide prescribing physicians with the information on risks and concerns of their drugs, they may have no real responsibility to inform the end consumers (patients). This may seem logical considering that patients receive drugs from their physicians who are considered the experts in determining the best course of treatment. However, the issue of “direct to consumer” marketing is crucially overlooked. This refers to drug manufacturers creating advertisements on television and other mediums in order to reach individual consumers. The court decided not to allow an exception to the learned intermediary rule in cases that involve direct to consumer marketing, thus allowing pharmaceutical companies to create incomplete or misleading advertisements. This decision obviously favors the interests of pharmaceutical manufacturers. It may allow them to be shielded from an increasing number of charges and to continue making huge profits by advertising in a misleading manner. The interest of patients, who may now legally not always be warned of a drug’s risks, is clearly not a priority. In an environment where direct to consumer pharmaceutical advertisement is abundant, it seems wrong to hold back adequate information from the targets of such marketing. A patient should have the right to know a drug’s potential risks in their entirety before taking such a prescription. Pradaxa is a new blood thinning drug touted as an alternative to the traditional (and problematic) warfarin, a drug in use since the 1950’s. It is an oral treatment that has been approved in preventing strokes in patients who suffer from atrial fibrillation, an irregular heartbeat. Pradaxa’s main goal is to avoid the complications associated with use of warfarin, including brain hemorrhages and other bleeding. However, use of Pradaxa may not be as promising as it seems; in fact, there is great debate over whether it is any safer than using warfarin. The FDA has been investigating reports of serious bleeding since its approval in 2010, and Japan and Australia have already issued safety warnings. The problems of Pradaxa come in the form of heart attack and other heart disease symptoms. Recent studies report frightening findings such as a 33% greater risk of heart attack while using Pradaxa versus warfarin. The Huffington Post also states that in 2011 there were 542 reports of death while using Pradaxa, a number higher than any other medicine (warfarin only produced 72 reports). The FDA has also noted that Pradaxa can begin to break down very quickly once it is removed from its original container. Overall, Pradaxa seems to have very similar problems to its predecessor, warfarin. Some downplay such statistics, claiming that such a death rate is actually normal for a newly marketed drug, so a comparison to the 60 year old warfarin is not appropriate. Some also claim that the problems of Pradaxa are associated mainly with improper use of the drug, not the drug’s inherent danger. However, necessary safety procedures such as close blood monitoring and frequent follow-up appointments are not required by everyday use of Pradaxa, leaving the concerning potential for a patient to unknowingly use the drug improperly. Finally, some doctors believe that Pradaxa’s absolute risk is rather low compared to its benefits. Ultimately, the debate over the safety of Pradaxa leads to justified concern about its place in the market. Each patient deserves safe and dependable treatment. It would be a shame for a patient to suffer a heart attack or serious bleeding because they were not properly informed of the risks involved. It should be the job of the FDA and the medical community to properly notify patients of such risks, but this responsibility is often unfulfilled. Actos, an oral diabetes drug produced by Takeda Pharmaceuticals, may increase the risk of developing bladder cancer. Several studies have noted a connection between high and long-term doses of Actos and prevalence of bladder cancer. There have recently been many lawsuits filed seeking redress for physical and mental distress caused by this drug’s reported tendency to promote the disease. Takeda has been targeted by federal multidistrict litigation (MDL) in Louisiana, and state court cases in Illinois and California. France and Germany have already been prompted by research evidence to pull Actos from their markets. Why bladder cancer? The body disposes of oral agents such as Actos through the urine. Because such substances may be stored for considerable periods of time near the cellular lining of the bladder, if proven carcinogenic they may be contributing factors in the development of cancers in this region. According to the American Association for Justice, one study that took place from 2004 to 2009 suggested that the risk of bladder cancer when taking Actos is increased by 330%. However, other research has failed to find a statistically significant link between the two. Most research attempts have found that as dosages continue over the years and the size of dosages increase, the correlation between Actos and bladder cancer becomes stronger. Ultimately, such evidence led FDA in 2011 to issue a warning regarding the possible risk of bladder cancer that Actos carries. They also required Takeda to add a warning on all Actos labels. Thus, patients who have been taking Actos for an extended period of time or are taking large amounts should understand completely the risk to their health they are allowing. While studies remain somewhat undecided on the exact risks of ingesting Actos, a very compelling case can be made if bladder cancer occurs after one year of exposure to the drug and absence of an overwhelming predisposition to develop bladder cancer exists. It should be noted that several conditions may cause one to be at a heightened risk for bladder cancer, regardless of Actos usage. Age, race, smoking, chemical exposure, and radiation therapy could all play a roll in causing bladder cancer and presence of such factors could inhibit the ability to prove Actos as the source of an occurrence of bladder cancer. Every patient should be aware of their own risk factors as well as the potential risks of taking Actos. There are other drugs that effectively fight diabetes, and the controversy surrounding this one seems enough to warrant serious reconsideration of the safety of its production and distribution. Physicians, medicine producers, the FDA and the government must be more vigilant of the life-threatening potential risks of prescribing Actos to unknowing patients. The Senate has recently passed a bill that would require greater oversight of drug manufacturing facilities overseas. This bill is concerned with increasing the safety and quality of imported medicine. The FDA is responsible for inspecting all U.S. drug manufacturers, but it has failed to account for the complexities of today’s industrial environment. 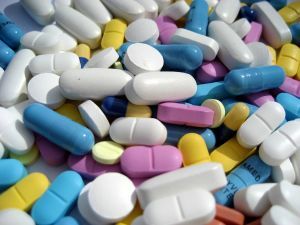 According to the Fort Worth Star Telegram, “Today, roughly 80 percent of the ingredients used in U.S. medicines are made overseas.” The considerable amount of imported drugs and the increasing outsourcing of drug manufacturing make stepping up international regulations and safety assurance an absolute necessity for modern drug consumers. In fact, while U.S. facilities are inspected every two years, the average foreign facility only receives inspection once every nine years. One notable case in 2008 highlighted the problem of defective medicine and the need for foreign inspections. Heparin, a blood thinner, was distributed widely in the United States, though it was originally produced in Chinese plants. Many contaminated batches were exported without any question. In the United States, the FDA traced hundreds of adverse reactions and several deaths to these shipments of heparin. When FDA officials visited one of the twelve questionable heparin manufacturers in China, they quickly realized that this facility lacked proper equipment, effective mechanizations for removing contaminants, and sufficient oversight of their own ingredient suppliers. This disaster clearly illustrates the problem of leaving internationally produced drugs and drug facilities uninspected. The Senate’s bill, for which the House of Representatives is currently drafting companion legislation, would decrease the FDA’s requirement to inspect U.S. manufacturers every two years and allow them more time and discretion to inspect overseas. It also cracks down on drug counterfeiting and allows the FDA to hire additional scientists and researchers for the task. The goal of this bill is to directly address the increasingly international nature of drug production and distribution and modernize the United States’ investigations into the medicine that is allowed to be consumed in this country. The take-home message from this is to create awareness about the drug safety reality in the United States. Most would be shocked to find out that the prescriptions they receive from their physicians may or may not have been submitted to any kind of safety inspection. While this legislation is a step in the right direction, such a law will take months and months to enter into effect. Drug consumption in the United States is not going to slow down, so steps to increase awareness must be taken now. Each citizen has the right to know and understand where his or her drugs come from and the government and business must continue to strive to make medicine in this country a safe and accountable industry. There is no room for cutting corners and slacking on safety when it comes to health. Not being properly informed about potential side effects of certain medications or deciding on a surgery with a medical device that little research has been done on, can lead to severe life changing problems, sometimes even death. One can never be too careful when it comes to taking medicine or undergoing surgery. Our firm has seen many patients suffer from the results of negligence when dealing with failed medical devices and harmful prescriptions. Bayer, a world-wide pharmaceutical company headquartered in Leverkusen, Germany, has agreed to pay an average of $220,000 per case to settle close to 500 law suits involving Yaz and Yasmin. The once very popular contraceptive pills have now gained negative attention across the world. 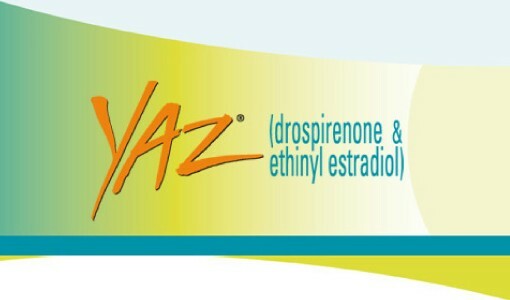 Yaz and Yasmin, unlike older birth controls, contain drospirenone, a synthetic version of the female hormone progesterone. All birth controls come with the risk of blood clots, however, pills containing drospirenone have shown to increase that risk. The FDA examined data on more than 830,000 women taking pills containing drospirenone, the results showed an increase in that risk by as much as three times the normal risk. After hundreds of women experienced severe blood clots with out proper warning or labeling, some ending with fatalities, close to 500 law suits against the pharmaceutical company piled up for failure to properly warn the public of these increased risks. Bayer is expected to pay close to $110 million in their Yaz and Yasmin cases. Though the FDA has ordered Bayer to emphasize the increased risk in blood clots while taking the birth control, the pharmaceutical company continues to suffer as more women file lawsuits. The new labels will state contraceptive pills containing drospirenone may triple your risk for blood clots. With Yaz and Yasmin being two of the most commonly used contraceptive pills among women from 2008 to 2011; Bayer is expecting additional lawsuits to come. Yaz, Yasmin and several other newer birth controls will soon undergo important changes to their labeling. Last Tuesday the FDA announced the changes will take place immediately in order to properly inform the public about the slight increased risk in thromboembolism, the formation of blood clots, while taking the once-a-day contraceptive pills. 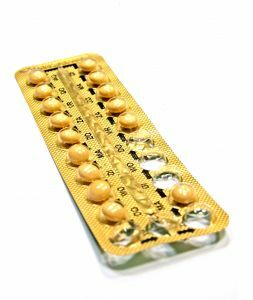 The newer birth control pills, unlike older pills, contain drospirenone, a synthetic version of the female hormone progesterone. Several studies have shown drospirenone to be a leading factor in the increased risk for blood clots. Many women continue to take birth control with out knowing the severity of the potential risk. Blood clots have the ability to travel all over your body, eventually leading to life changing problems and sometimes even death. Birth controls containing drospirenone have shown to increase the risk of their formation. Blood clots may form inside small veins near the surface of your skin, leaving swelling, redness and possible pain in that area. They also have the risk of forming inside larger, deeper veins, also known as deep vein thrombosis, possibly causing more critical problems. Deep vein thrombosis blood clots have a higher risk of breaking apart and traveling to other areas of the body, such as the lungs, heart and brain, potentially leading to stroke, heart attack or death. Yaz, released on the market in 2006, was Bayer’s top selling birth control pill. It appealed to millions of women due to its ability of helping with acne and PMS as well as being a contraceptive pill. By 2008, Yaz was the top selling birth control pill in the U.S. However, when several women began filing complaints, health experts began further research. As research increased, complaints quickly turned into law suits, studies found a connection with blood clots and drospirenone. Today, doctors and attorneys are advising all women taking birth control to talk to their physician about possible increased risks and side effects. They also advise all women to stay informed about any symptoms they might have that could be possible signs of blood clots. A recent study suggests a possible link between an increased risk in cancer or even death with the use of sleeping pills. Statistics show that an estimated six to ten percent of Americans currently take sleeping pills, a number that continues to increase as the public is provided with numerous options and constant advertising about the potentially harmful drugs. 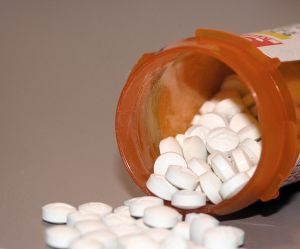 The study shows a potential connection between the problems and pills but has yet to reach a conclusion on an absolute cause and effect. Patients should be aware of any possible risks they might face while taking sleeping pills. It is always best to consult with your doctor about any effects you may be concerned with. Just recently Bayer Healthcare has reported the pharmaceutical company has reached agreements to settle all Yaz and Yasmin lawsuits brought by at least 70 women. In 2006, Bayer launched the very popular Yaz birth control, a once a day contraceptive pill that also helped women with acne and PMS symptoms. By 2008, Yaz was Bayer’s number one selling birth control pill and the top birth control in the U.S.
Yaz, unlike many other contraceptive pills, contains drospirenone, an anti-androgenic synthetic progestin, an ingredient that research has found to be far more dangerous than others. Though all birth controls come with risks, birth controls containing drospirenone have shown to enhance those risks, particularly the risk of deep vein thrombosis and pulmonary embolism (blood clots). Blood clots can be a common factor in stroke, heart attack or even death. By 2009, Bayer’s sales for Yaz quickly began to decrease as more and more women filed complaints that Yaz was the leading factor in their blood clots, and that they were not properly warned about this risk. Since 2009 Yaz sales have decreased by almost 80 percent, creating a much higher threat of concern and a significant increase in lawsuits. Today, the pharmaceutical company faces more than 6,000 lawsuits. The majority of lawsuits are suing Bayer alleging the pharmaceutical company inadequately warned patients about the serious side effects drospirenone. In September 2011, the FDA released a statement warning women taking birth control containing drospirenone that there may be a possible link between the ingredient and deep vein thrombosis and pulmonary embolism. Since then, several studies have shown a consistent link. A bellwether trial has been scheduled for June 2012.